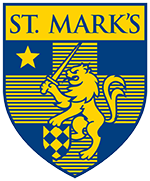 What testing and classroom accommodations does St. Mark’s provide? What are some common reasons students seek counseling? What are some of the skills I can learn through counseling? How do I access counseling services? Drop in Centennial Hall #126 or schedule appointments through LeeAnn Sloane, Administrative Assistant to the Director of Counseling at 214-346-8187 or sloanea@smtexas.org. Contact the Director of Counseling, Barbara Van Drie, at vandrieb@smtexas.org or 214-346-8186. How can I anonymously communicate a concern that I have to the School? St. Mark’s has two locations that allow you to drop an anonymous note in a locked box to express your concern. One box is located in Centennial Hall – 1st floor main central foyer – south end of the foyer – on the backside of the large column. A second box is located in the Chapel vestibule – west end of the vestibule. You may also contact the Director of Counseling and your identity can remain confidential at your request. What are some common reasons students might need psychoeducational assessments? What are St. Mark’s documentation requirements for psychoeducational assessments? Download this PDF for a full list of requirements for psychoeducational assessment. Is a physician diagnosis sufficient for classroom accommodations? No, a complete psychoeducational assessment is required to demonstrate the impact of the diagnosis on a student’s learning. How do I establish eligibility for accommodations, such as extended time, on College Board exams? Students with approved learning plans in place will be contacted by the Coordinator of Academic Support in the spring of their freshman year to establish eligibility for accommodations on College Board exams. Approved learning plans must be in place over four school months to meet College Board eligibility requirements. How do I establish eligibility for accommodations, such as extended time on the ACT exam? Students with learning plans in place will be contacted by the Coordinator of Academic Support in the fall of their junior year to request extended time on the ACT exam. Who should I contact for more information on psychoeducational assessment? Contact the Coordinator of Academic Support, Julie Pechersky, at pecherskyj@smtexas.org or 214-346-8290. Northern Illinois University - B.S. University of North Texas - M.S. Texas A&M University - B.S. UT Southwestern Medical Center Dallas - Ph.D.
University of Texas at Austin - B.S. www.gordie.org ~ A national campaign to prevent alcohol abuse and hazing in memory of Gordie Bailey. The documentary HAZE tells Gordie’s story within the context of alcohol abuse and hazing. StopHazing.org ~ Education and research to eliminate hazing. www.fcd.org ~ FCD Educational Services works with schools to provide students with the knowledge, understanding, and skills they need to make intelligent, healthy choices about alcohol and other drug use. Additional resources are available on their site.